Popularised by the iPhone, being able to pinch your fingers together to zoom, or flicking left or right to navigate the internet, is more intuitive than using a mouse, to say nothing of offering a frisson of Star Trek-like enjoyment to your PC. Windows 7 is multi-touch ready as soon as you install it – buy a suitably-equipped PC or tablet and you can use its handwriting recognition and gesture recognition straight out of the box. The problem is that touchscreens are expensive. The nearest consumers are likely to get is something along the lines of HP's all-in-one Touchsmart systems which isn't much use if you're looking to retrofit your current PC. Instead, you could try Wacom's Bamboo Pen & Touch. 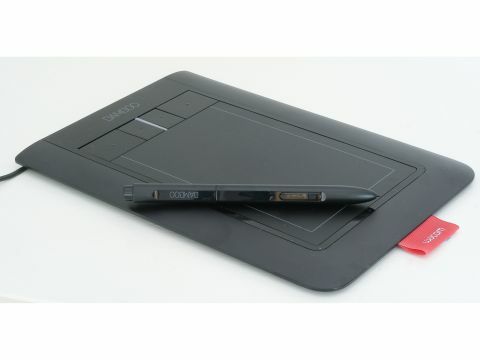 Wacom has been a significant player in the consumer-grade graphics tablet market for a long while, building small but perfectly-formed pen and tablet combos for creative types. The Pen & Touch builds on the formula. It costs under £100, and while you get a pen and three replacement nibs in the box, the headline is that it works as a multi-touch work surface. Forget clicking and dragging! You fingers are the future.